Instructions: Click here to view a larger photo of this project. 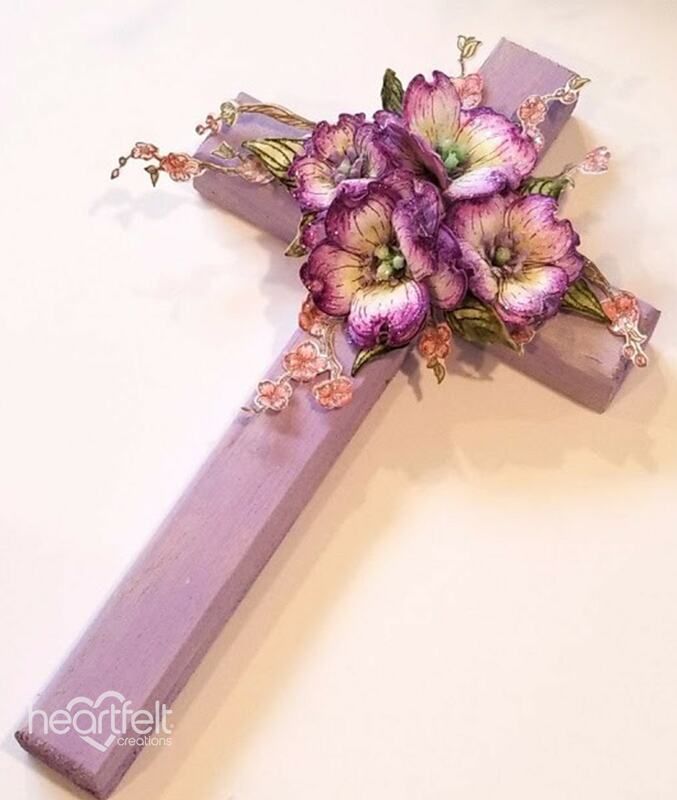 Paint cross with lavender paint and then a thin coat of watered-down white acrylic paint. 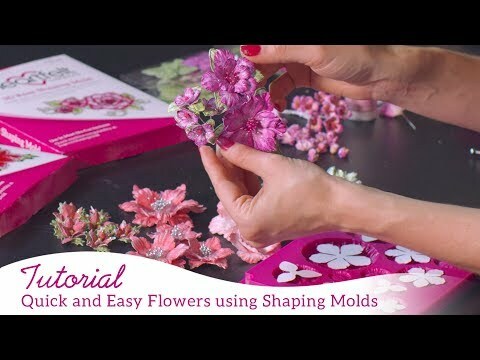 Stamp the large and medium dogwoods from the Flowering Dogwood set in Majestic Violet, sponge centers with Vivid Chartreuse and outsides with Majestic Violet and cut out with corresponding dies and sculpt with the 3D Floral Basics Shaping Mold. 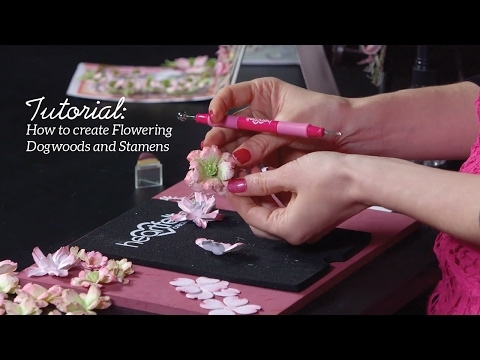 Cut out stamens from the Flowering Dogwood set in lavender cardstock wrap around beaded stamens and add to the centers of the flowers. Stamp the dogwood spray from the Flowering Dogwood & Doves set in jet black and sponge with Tea Rose, cut out with corresponding dies. Sponge blossoms with adhesive and cover with Crystal Clear. Stamp, and sponge leaves from the Flowering Dogwood set in Bamboo Leaves, cut out with corresponding dies and sculpt. Adhere flowers and leaves to cross as shown.